British Prime Minister David Cameron has joined other world leaders in congratulating Armenian President Serzh Sargsyan on his re-election. “The Presidential elections of 18 February marked another step forward in Armenia’s democratic development. International observers judged that they were “generally well-administered” and “characterized by a respect for fundamental freedoms.” That assessment is particularly welcome as Armenia seeks to take forward its relationship with the European Union. 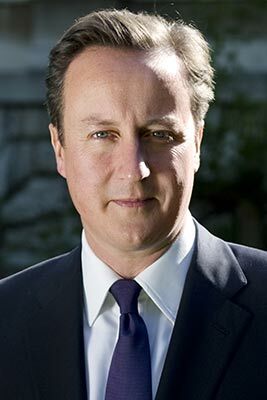 I am sure that your officials will now be looking at how to respond constructively to any recommendations that the International Observer Mission might make,” said Cameron, according to the Armenian president’s press office. “The United Kingdom and Armenia have long enjoyed a strong bilateral relationship. We will continue to support you in your work to bring the Armenian people the security and prosperity they deserve, particularly as you face the difficult decisions and implement the reforms that will be required to make that aspiration a reality. “I wish you all the best as you begin your second term in office. I look forward to our two Governments working together for the mutual benefit of both our countries,” wrote the British prime minister. Cameron’s message comes amid post-election protests in Armenia against the official result of the February 18 vote in which opposition candidate Raffi Hovannisian claims victory. Hovannisian has already denounced similar congratulatory messages sent to Sargsyan by the leaders of the United States, Russia, France and other states.